We offer Grayish Black Vermiculite that has been manufactured and processed under highly supervised condition so as to ensure its high quality. Our Grayish Black Vermiculite is appreciated in the domestic and international markets owing to its high insulation value and non-toxic nature. 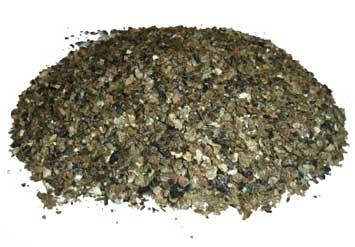 We deliver Grayish Black Vermiculite in customized packaging as per the requirements of the customers.